Bedlington Juniors had double cause for celebration after securing a Tyneside Amateur League and cup double. Their first celebration came on Wednesday as Michael Robinson’s goal gave them a 1-0 victory in a tight match against Gosforth Bohemian Reserves. They then moved on to face North Shields Athletic Reserves in the Tyneside Amateur Challenge Shield final at Newcastle Benfield on Saturday. A tight opening half saw very little goalmouth action until just past the half-hour mark when Andy McLennan ran onto a through ball and popped it under Ryan Sarginson to give Bedlington the lead. Ten minutes into the second period, Trae Rowlandson tried to round Sarginson but was brought down, which led to a penalty and sadly a red card for the unfortunate Shields custodian. Replacement keeper Harry Johnson distinguished himself by saving Rowlandson’s spot kick, and made a further save from McLennan moments later, but was powerless to prevent the league’s top scorer doubling his and Bedlington’s tally midway through the second period. Shields pressed hard as they tried to find a way back into the game, with Leeroy Odd curling a free kick narrowly past the upright, but in added time they finally pulled one back as Odd laid the ball off for Paul Richardson to slot home. Bedlington held on, however, to the delight of management team Karl Porter and Ken Dougan, with double goalscorer McLennan picking up the man of the match award. The next cup final takes place on Tuesday, May 17, at 7pm, at Newcastle Benfield FC, where West Jesmond and Ponteland United Reserves will contest the Neville Cowey Cup final. In league action, West Jesmond picked up two wins to finish their campaign currently third in the table, although they can be overhauled. Frstly, they put six past Killingworth, with goals from Marc Cowley, Kester Young, Stephen Callaghan, Mark Emmerson, Doug Cranston and Jack Higson penalty. They then beat Wardley by the odd goal in seven, where Emmerson was joined on the scoresheet by Danny Cousins, Ed Shanks and James Hunter. Joseph Beattie, Chris Gray and Anthony Kew scored for the hosts. Ponteland United Reserves met Blyth Town Development twice in the week, putting four past them both times but ending up with just four points. 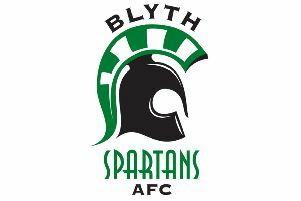 Scott Hulse (2), Gary Oliver and Dan Troughton were on the mark in their first match, which they won 4-2 as Andy Bell and Sam Watts scored for Blyth. However, a Brandon Nadeem hat-trick and a Ryan Knight strike earned Town a point in the reverse fixture, despite another Troughton goal and further strikes from Daniel Mupungu and Connor Brumwell (2). Newcastle Chemfica Reserves picked up two points in the week, first drawing 1-1 at Stobswood having taken the lead with a goal from Nik Watson, which was cancelled out by Jacob Baker. They then had Steve Collins and Craig Shannon on the mark away to Monkseaton A, who earned point through Steve Moat and Liam Parr. Newcastle East End beat Forest Hall YPC 4-0 with goals from Dean Bell, Chris Scott, Jay Watson and Mark Watson, whilst Newbiggin Hall won 4-1 at Newcastle Medicals despite a Faisal Tufail goal. Paul Burr bagged a brace for Newbiggin, with Arran Ellis and Nathan Lowdon completing the scoring.